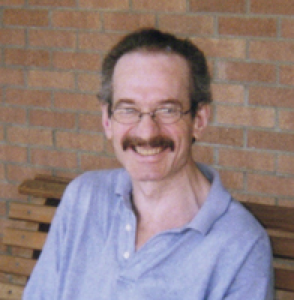 Albert William (Bill) Rickert, 42, 1321 Imperial Ct., Troy, Ohio, formerly of Greenville, Ohio died at Hospice of Dayton, Dayton, Ohio on Friday, June 29, 2007 at 2:50 PM after a short illness. He was born December 14, 1964 in Sidney, Ohio the son of John Franklin Rickert of Sidney and Kathleen June (Williamson) Hutchison of Tipp City, Ohio and stepmother, Virginia Rickert of Sidney (wife of John) and stepfather Joseph of Tipp City, Ohio (wife of Kathleen; two brothers, Mark and wife Lisa of Greenville, Ohio and John of Columbus, Ohio and four step sisters and three step brothers. Also survived by several aunts, uncles, cousins, nieces and nephews. He was a 1986 graduate of Greenville High School. He had been an employee of Kroger&#39;s in Troy, Ohio. Private graveside services will be held on Saturday, July 7, 2007 at 1:00 PM at Pearl Cemetery, Swanders, Ohio with Elder Mark Rickert. Memorial contributions may be made to Hospice of Dayton, 324 Wilmington Ave., Dayton, Ohio 45420.